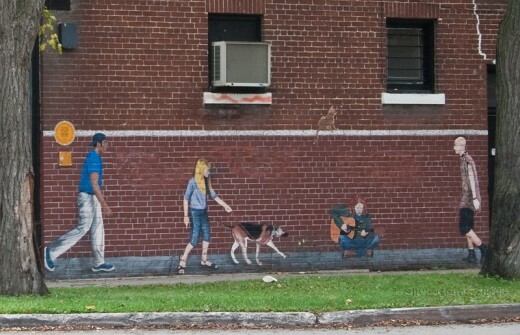 Art City at 616 Broadway - visitors are welcome! Urban life can be exciting and filled with opportunities to explore new ideas through art galleries, museums, concert halls and evening courses at a downtown campus. Many cities are revitalizing some of the core areas and converting old buildings into stylish lofts and luxury condos. Unfortunately, this same area also provides substandard housing at lower cost, drawing people who are living on fixed incomes, social services or working in low-paying jobs like retail or restaurant positions that serve the downtown area. The more exciting aspects of urban living are usually cost-prohibitive for those on lower incomes. City life also draws those with a more negative income source, resulting in a high crime rate and unsafe streets. For the older residents and the working poor, nothing is affordable and life opportunities seem to shrink. For children, after school life means staying home alone or hanging out on the street with friends, neither of which is very productive and can lead to serious problems. What if you hand people a camera loaded with film, give them a darkroom to process the images and teach them how to use it all? Maybe hands-on learning in clay at the potters’ wheel would be interesting. Digital art and poster making, painting, drawing and music are all creative outlets and help people of all ages bloom and feel worthwhile. Positive self-esteem is critical for both healthy individuals and a thriving neighborhood community, regardless of income level but that is not the only benefit. Creativity helps people think outside the box and one of the proven benefits is more effective problem-solving. This makes people and communities stronger and healthier and tends to add a lot more fun to life for everyone involved! 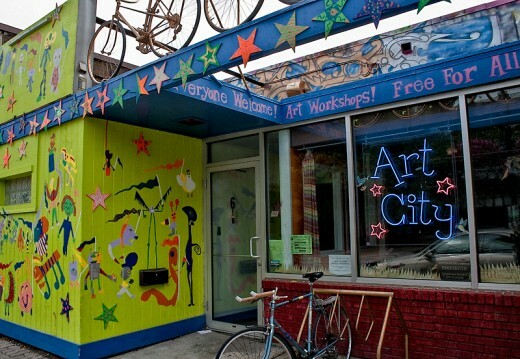 Art City on West Broadway in Winnipeg does all this and more. This is community living at its best. Every weekday between 4pm and 8pm there are drop-in courses offered at no cost and all materials are supplied free of charge. Some courses are designed for those 12 and under, others for teens 13-17, some for adults, and many more for people of all ages. It’s a great way for friends and families to explore new ideas together. Visitors from all over the world stop in to enjoy the local atmosphere. There's nothing like creativity to break language barriers and start friendships. 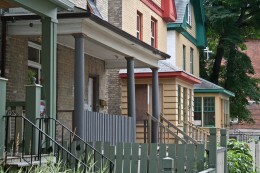 For more information and a full calendar of courses, visit Art City in Winnipeg. Come and discover your inner artist or share your knowledge with your community! Hang on to your toque and have a seat on the chesterfield. This is a celebration of Canada and Canadians and the rich heritage we all share. These pages are filled with articles about Canadian people and places, books and authors, images and stories. Please feel free to comment and share yours. And yes, there may be some opinions expressed, too. © 2011 by Alexandra Lucas/SilverGenes. All rights reserved. Ethereal theme. Powered by Blogger.